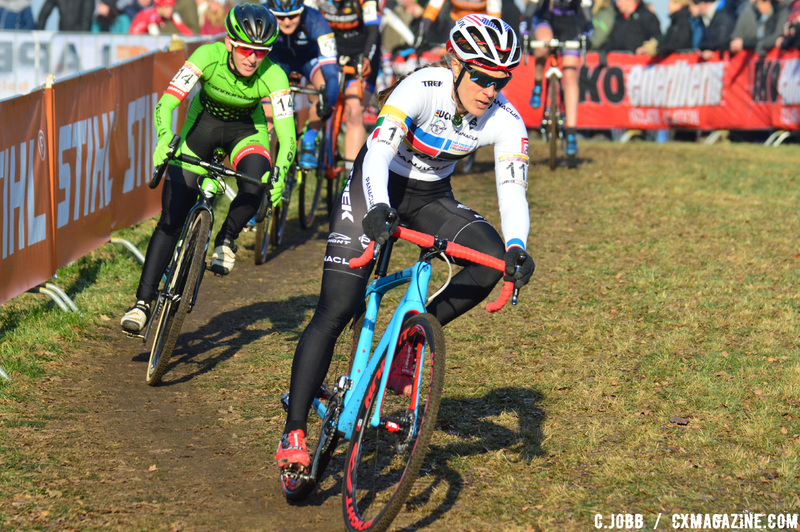 With the 2018 World Championships in Valkenburg-Limburg one week away, riders get one last tune-up at Sunday’s Hoogerheide World Cup. 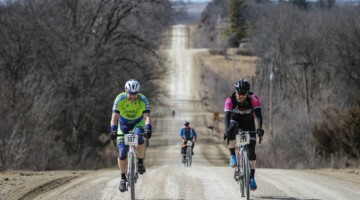 The race traditionally brings many of the North American and Australian Worlds team members and this year is no different. The start lists include 29 Americans, 13 Canadians and 10 Australians. One rider American fans will likely have their eyes on is Katie Compton (KFC Racing p/b Trek/Knight Composites). Compton has won every race she has entered in 2018 — GP Sven Nys, U.S. Nationals, World Cup Nommay — but Hoogerheide has been a thorn in her side during the past several years. Last year, she crashed and finished 17th, and the two years before that she finished 12th and 21st. 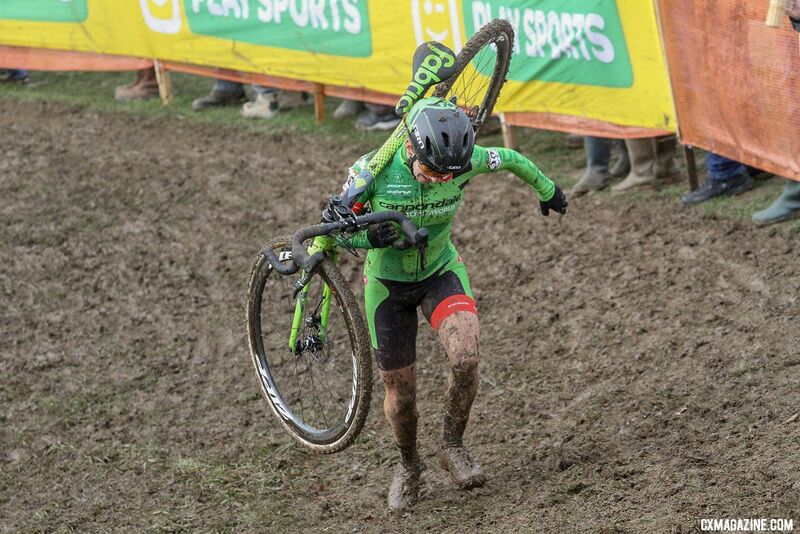 Another rider worth watching is Kaitie Keough (Cannondale p/b CyclocrossWorld). 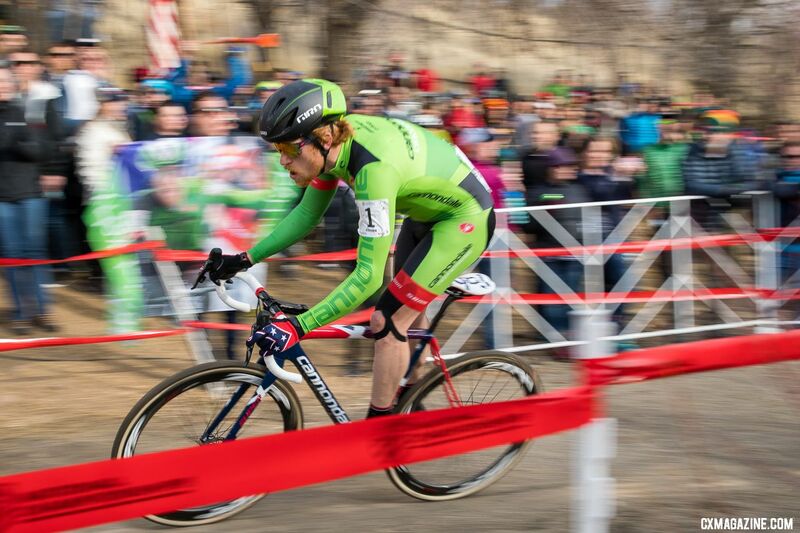 After a tough Nationals, Keough bounced back with a second-place finish at World Cup Nommay. With her silver medal, she solidified her hold on second-place overall in the World Cup series. 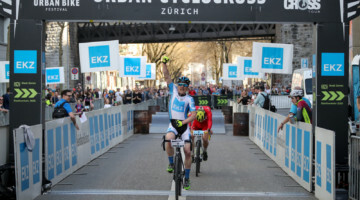 Keough has a 40-point lead on Eva Lechner (Clif Pro Team), so with 80 points awarded to the winner, even if Lechner wins, a top ten finish will clinch the overall second for Keough. Sanne Cant currently holds an 82-point lead over Keough, so the defending World Champion has the World Cup overall locked up. On the Men’s side, Stephen Hyde (Cannondale p/b CyclocrossWorld) is looking to build on his 11th and 13th-place finishes at the Namur and Zolder World Cups last month. 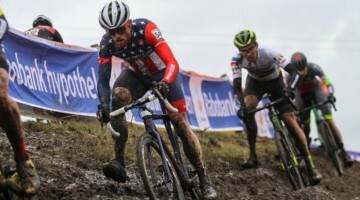 Hyde won Nationals in a thrilling battle against Jeremy Powers (Aspire Racing), but has been trying to shake off the effects off a lingering knee injury. Powers is another rider to keep an eye on as he tries to build on his second at Nationals in his first European appearance of the season. For the World Cup series, Mathieu van der Poel (Corendon-Circus) holds a 100-point lead over Wout van Aert (Crelan-Charles) and has the series locked up. He won the last two World Cups in Namur and Zolder, although last year, Lars van der Haar (Telenet Fidea Lions) sprung a surprising win at Hoogerheide before Van Aert went on to win Worlds. Full start lists are below. With an impressive number of riders from North America, Australia and the U.K., chances are good your favorite rider will be making the start on Sunday.